Are We Addicted to Facebook? If you consider the Internet a drug, then we live in a world of addicts. A new study of 1,000 students around the world found that those who gave up the Internet felt intense withdrawal symptoms within 24 hours. One student told researchers that she "felt dead" without Web access, while another said she was "itching like a crackhead," according to Ars Technica. 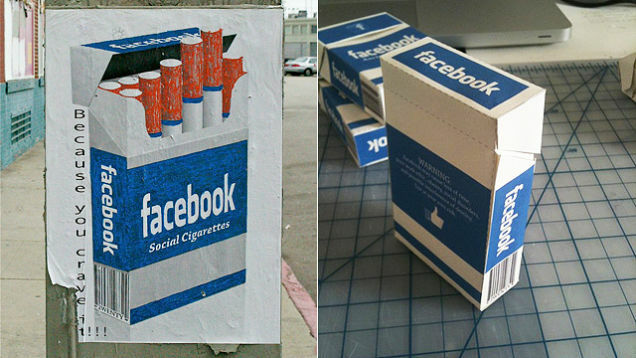 L.A. street artist 2wenty depicts Facebook as a pack of "social cigarettes" in posters and art shows. He tells Forbes: "I hope the pieces make people notice their addiction to Facebook." Though even he admits that "the irony is that I'm on Facebook all the time, too." But are we really "addicted" to Facebook? Casting social media—and the Internet in general—as a drug makes for a powerful metaphor, but it's a misleading one. 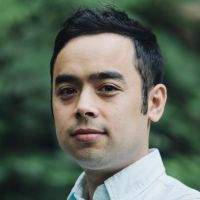 Most of us live so much of our lives online these days that to be cut off would be more like being imprisoned in a windowless room than deprived of our favorite addictive substance. You'd probably start getting antsy after a few hours in a windowless room, but nobody would call you addicted to fresh air.